Thomas Benton Hollyman was born in Denver, Colo., but he got his start in news after the family moved to Warrensburg, Mo., where he began publishing a school paper in the sixth grade. Having always wanted to be a journalist, he became a printer’s devil at the Standard Herald in exchange for lessons in news-writing. While attending Central Missouri State University, he worked freelance for the Daily Star-Journal and the St. Louis Post-Dispatch. His first published photograph, a woman crying in a doorway after learning her husband was the brother from whom she had been separated as a child, was taken for the Kansas City Journal and was syndicated nationally, including in Life Magazine. 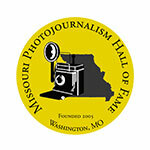 After Central Missouri, he enrolled in the University of Missouri’s School of Journalism and received a master’s degree in photojournalism. 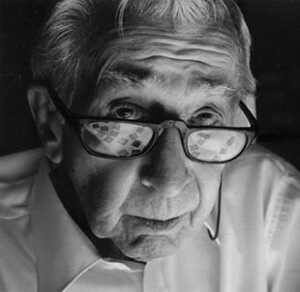 He joined the Chicago Bureau of Acme Newspictures, a forerunner to The Associated Press’ photography division, and later became a staff photographer for the St. Louis Post-Dispatch, where he worked until World War II. During his time of service, Hollyman was stationed in the Pentagon to work on a photo intelligence project and was the official service photographer during Franklin D. Roosevelt’s funeral. After the war, he was able to travel and take photos for various magazines and in 1963, he was tapped as the videographer for the motion picture production, Lord of the Flies, a job which he had only a few weeks to learn.